We, “Yellow Fish Ads” are engaged in manufacturing quality approved Promotional Umbrella, Demo Tent and Promotional Table. We are also Providing Printing Services, Balloon Decoration Services. 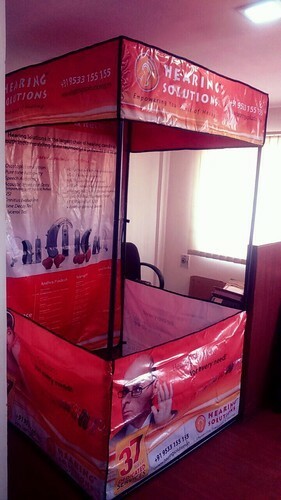 Banking on the skills of our qualified team of professionals, we are involved in manufacturing quality approved Promotional Umbrella, Demo Tent and Promotional Table. We ensure to provide our products in given time frame. We are also providing Advertising Services, Printing Services, Balloon Decoration Services.